Huawei has a new smartwatch on sale. 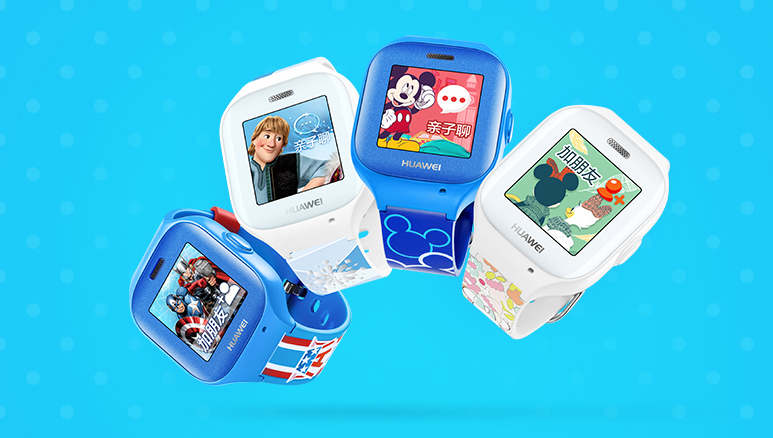 No, it's not a follow up to its Android Wear effort, rather a children's tracker in collaboration with Disney. The Huawei Kids Smartwatch comes in four styles - Mickey Mouse, Minnie Mouse, Captain America and Frozen - with all the designs offering differently styled straps, cases and backgrounds. Like the Xiaomi Mi Bunny that launched earlier this year, Huawei's child-based wearable is based around GPS tracking for parents and activity tracking for the little 'uns. The features list is pretty similar to what we've seen in kids smartwatches from the hereO and Dokiwatch - there's an SOS button for emergency alerts to a parent's smartphone and navigation features in case the wearer gets lost. There's also GSM connectivity for an emergency phone call to a designated number. It features a 1.3-inch PMOLED display and the watch plays nicely with both iOS and Android. Huawei is promising a day and a half of battery life from the 300mAh pack with a full charge only taking two hours. The Huawei Kids Smartwatch boasts an IP55 rating, which means it should survive in a big rain downpour or a splash or two from a sink. There's no word on a release outside of China at the moment but, in its homeland, it can be picked up for ¥688 right now - that's about $100.